Truly a man of much wisdom, Dumbledore has spoken some of the greatest quotes in the Harry Potter series. And in honor of the headmaster, I would like to list some of my favorite quotes of his. What are your favorite Dumbledore quotes? Let me know below! I love the one about our choices. I almost put that on my graduation cap. The happiness one is a favourite of mine. 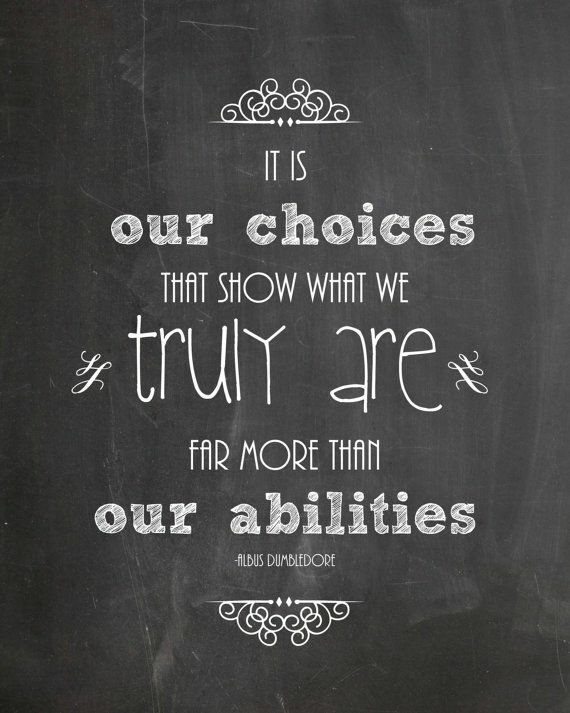 Dumbledore does have some great wisdom! “Soon we must all face the choice between what is right and what is easy.” that quote still gives me chills. There are too many great ones to choose from! One of my favorite characters of all time. So much wisdom and caring in one man. I love the ones about happiness and choice. Great post and I love the graphics! Absolutely Love this one: “While we may come from different places, and speak in different tongues, our hearts beat as one”. It’s very poignant to what’s been happening all around the world. Great post! I love the quote: “If you want to know what a man is truly like, look at how he treats his inferiors, not his equals” I know it came from Harry Potter, but I don’t know if it was Dumbledore who said it…regardless it’s one of my favorite quotes from the movie! Seriously some amazing words to live by!! I have always loved “While we may come from different places, and speak in different tongues, our hearts beat as one” – Goblet of Fire.